In 2016, Nicole Imbriaco’s finance career had begun. 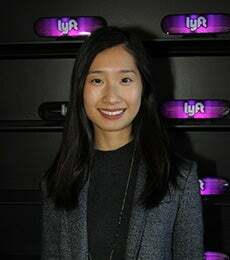 An experienced coder with a newly minted BS in finance and business analytics/ information technology and informatics from Rutgers, she was working for Goldman Sachs as a trading analyst. But like so many in her generation, Imbriaco felt compelled to use her tech skills to make a difference on a larger scale. Her reasons were deeply personal: her mother had only recently lost a nine-year battle with cancer, and Imbriaco’s perspective on life and career was shifting to a future in health and wellness. 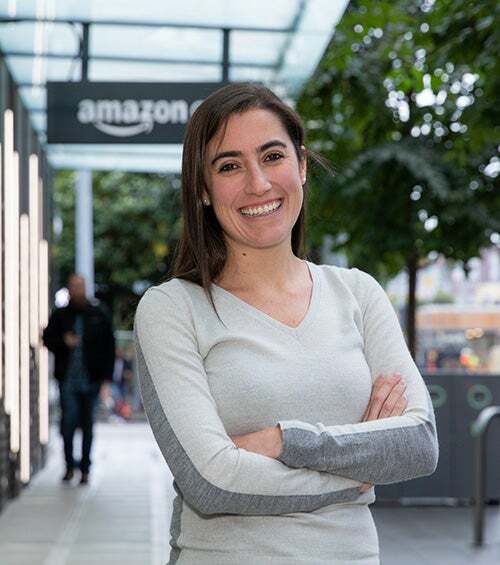 That’s when she discovered NYU Stern’s newest innovation in tech education: The Andre Koo Technology and Entrepreneurship MBA, a new category of MBA designed for students committed to a career in tech. This program, the product of a partnership with NYU’s Courant Institute of Mathematical Sciences, focuses on data science and the management of technology systems, processes, and people to prepare students for tech leadership roles. 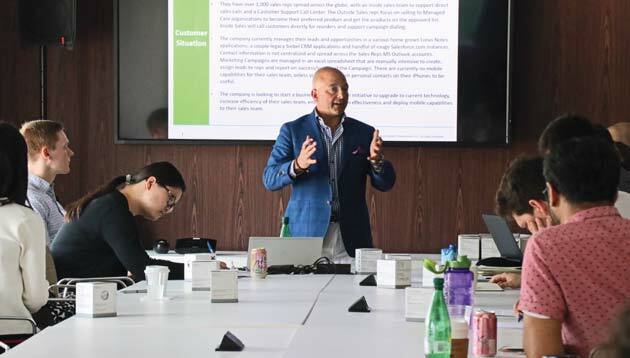 While the recently introduced Andre Koo Tech MBA has garnered headlines—Imbriaco herself has been written up by ClearAdmit and BusinessBecause—Stern’s strengths in tech are pervasive, evidenced throughout the School’s offerings and activities. In the same way the School built a worldrenowned finance reputation, Stern has quietly transformed into a potent player in tech. Through years of focus, investment, and innovation, Stern has been on a deliberate path of integrating tech with business into its academic experiences, research, and portfolio of career opportunities. Long-heralded for its academic prowess in finance, Stern’s focus on technology and data science goes back to the earliest days of the tech revolution. With the introduction of the Andre Koo Tech MBA last year, Eggers said, Stern is building on more than a decade of momentum in tech as the School looks to fill a talent gap expressed by industry: tech experts who understand the language of business, and business leaders who understand and manage the strategic potential of tech. Andre J.L. Koo (MBA ’94) talks with students from the inaugural class for the Andre Koo Tech MBA at a welcome reception at IBM. The Andre Koo Tech MBA that attracts students like Imbriaco is only the tip of the iceberg. For most of the last decade, Stern has been first and fast to market with innovative tech programming—from individual courses to specializations to entire new degree categories and real-world experiences—continually evolving its offering in sync with the needs of global businesses right in Stern’s back yard. In 2014, Stern became the first major business school to offer a for-credit course on digital currencies, a perennial favorite that has evolved along with bitcoin. Originally enrolling 35 students, the course in its current form is being offered twice this year and topped more than 100 students this fall. Course offerings have expanded to undergraduate business students with two courses this fall, Foundations of Fintech and Applications in Entrepreneurial Finance: Fintech, with further expansion planned. A short course for executives and an online certificate will be coming soon. Management of Technology and Operations focuses on technology-enabled business models and the alignment of IT and operations with corporate strategy. Business Analytics teaches the use of data and models to support decision making in business (a similar track is also available for undergraduate students). Entrepreneurship and Innovation equips entrepreneurial students with the tools and concepts necessary for capitalizing on today’s enormously broad opportunity set in tech. Fintech grounds students in the latest developments, delivered by Stern’s finance and information, operations and management sciences departments—a first among top business schools. Stern students can take advantage of several experiential learning and networking opportunities with alumni and corporate partners. Stern Solutions projects are great examples, where MBA students collaborate with faculty and Stern partner companies on tackling current issues. Student participation has grown by more than 160 percent in the last three years with 32 Stern Solutions courses and projects among 70 clients. The Andre Koo Tech MBA program incorporates several unique experiences with tech companies into the curriculum. 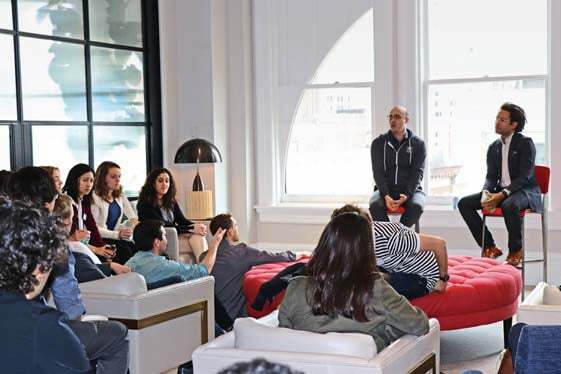 This summer, the inaugural class of Andre Koo Tech MBAs hit the ground running with a series of weekly visits that gave students access to the tech ecosystem in NYC—with visits to venture capitalists, accelerators, and startup and big tech companies. 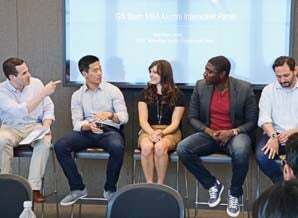 (see sidebar, Tech MBAs Invade Silicon Alley). “Students were amazed by the level of breadth and depth of access they had with such a diverse array of companies, all of which are clamoring for tech-smart business talent who see the big picture,” said Jamie Rose Tobias, assistant dean of student engagement and Stern Solutions leader. 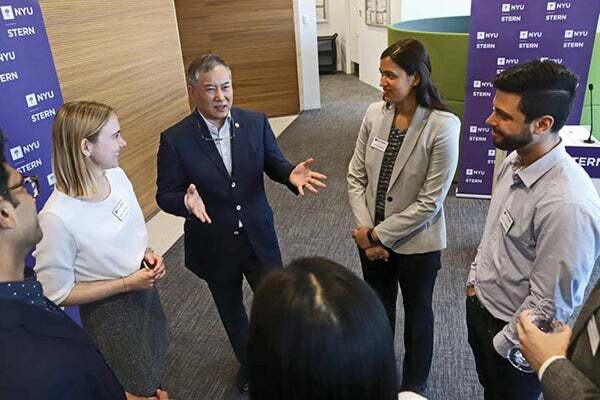 “Alumni at these companies were equally impressed by the students’ inquisitiveness and drive, and they’re eager to engage.” In January 2019, the process repeats with a condensed visit to companies in Seattle and the San Francisco Bay area. 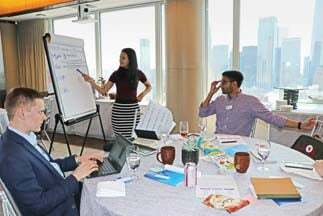 In addition, the Andre Koo Tech MBA students take Tech Solutions, a compulsory fall experiential course where they tackle business problems with a technical solution, partnering with companies such as CNBC, Dow Jones, IBM, iHeartMedia, Infosys, and others. In the spring, students can then take advantage of additional tech-focused experiential courses such as Tech and the City, where they engage with a successful early-stage tech company’s founders and executives as ‘consultants’ for a semester- long immersive experience. Stern has been growing its network of partner brands and organizations since 2001, and recently assembled a proprietary Tech MBA Advisory Board composed of industry leaders throughout the tech ecosystem who consult on curriculum development for the Andre Koo Tech MBA, sponsor Stern Solutions projects, and provide insight into student employment opportunities. General Catalyst provided an overview of the VC ecosystem and how the pieces fit together. Deloitte Digital exposed students to their innovative approach to digital projects and problem solving. Grand Central Tech shared their accelerator program and how they became the largest, single-dedicated platform to grow ventures from seed to scale. T. Rowe Price introduced students to agile frameworks. Citi Ventures’ chief innovation officer kicked off an immersive summer project. Google shared an overview on the role of Product Manager. Uber engaged students in a hands-on data analysis exercise. 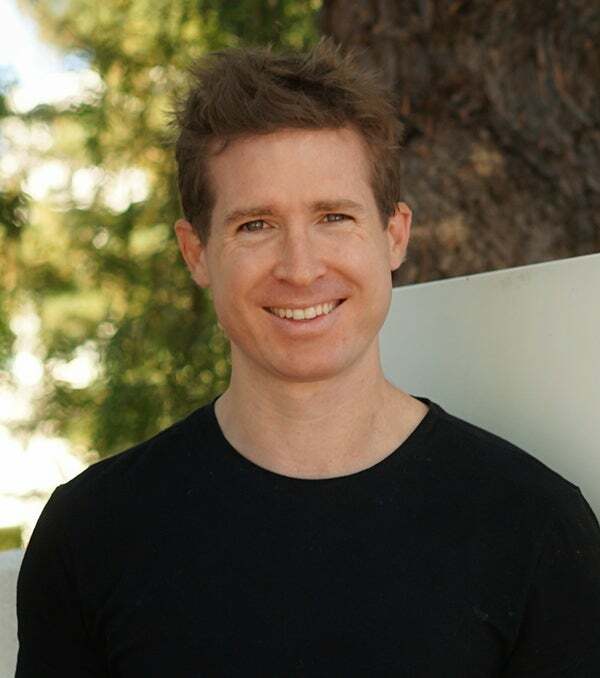 OSCAR shared insights into how their start-up is disrupting the health insurance market. Goldman Sachs introduced students to internal start-ups, including Marcus by Goldman Sachs, a new online personal savings bank. Button, a start-up co-founded by Tanner Hackett (MBA ’11), hosted a happy hour. As Stern has evolved its educational experience, faculty are continually adding to an impressive body of tech-focused knowledge and insight, contributing to Stern’s reputation as one of the world’s top five institutions in terms of research productivity. Recently, Stern has published: research on artificial intelligence and mobile platforms in the health industry; opinion papers on financial secrecy and cryptocurrencies, finance, and blockchains; and several books on tech and finance regulation and innovation. And since developing Stern’s first-ever bitcoin course, Business and Law Professor and Finance Department Chair David Yermack has become a sought-after subject matter expert, lending his expertise through events and guest lectures and as a contributing voice for ABC, CNBC, and publications such as Forbes, the Financial Times, and The New York Times. The newest addition to the Stern tech ecosystem launched in the spring when Stern received an $8 million gift from alumnus Richard Ming-Tsai (MBA ’81) to establish the Fubon Center for Technology, Business and Innovation, serving as the school’s hub for cross-disciplinary collaboration in technological innovation. Convening expertise through special events is another thought leadership tool in Stern’s tech playbook. The Fubon Center hosted Stern’s third annual Fintech Conference in October. The conference, led by Kathleen DeRose, director of fintech initiatives at the Fubon Center and professor of finance, brings together leading fintech academics, investors, entrepreneurs, and executives in finance and consulting who share ideas and insights into the latest ways technology is affecting economic policy and the financial services industry, and, as a result, the larger business community. 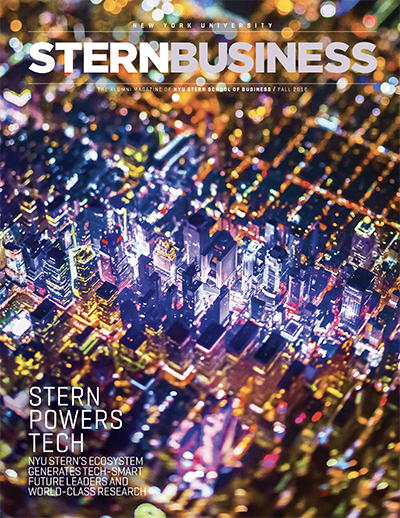 The outcome of Stern’s focus on tech education and research, and the investments made in facilities, research centers, clubs, competitions, personnel, and relationships, have resulted in companies such as Amazon, Facebook, Google, IBM, and Lyft turning to Stern for tech-savvy business talent. For the most entrepreneurial students bent on following their own path in tech, Stern’s tech ecosystem affords opportunities to connect with the resources and expertise required to achieve their goals. The W. R. Berkley Innovation Labs’ broad array of initiatives includes start-up acceleration programs, mentoring, workshops, and technical assistance—all designed to provide students, alumni, faculty, and staff with the skills needed to discover and execute bold new ideas. The center runs the $300K Entrepreneurs Challenge, one of the largest and most innovative accelerator programs and start-up competitions in the world. Last year, Stern launched the first Creative Destruction Lab (CDL-NYC) in the US, based on the successful model founded at the University of Toronto to support the commercialization of early-stage science and deep technology start-ups. This ninemonth structured program pairs the most promising ventures with experienced entrepreneurs and investors to set focused, measurable objectives with the goal of developing a framework for how to accelerate the launch of their ideas. This fall, CDL-NYC announced that it accepted 27 ventures with an admission rate of less than 9 percent, becoming the most selective program in the CDL network. 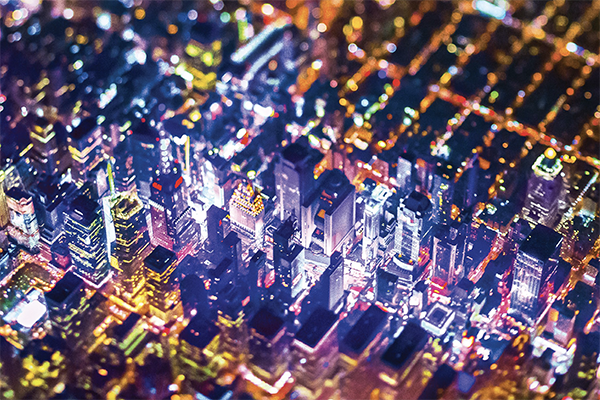 CDL-NYC’s founders aim to commercialize disruptive inventions in a variety of fields such as artificial intelligence, robotics, material science, therapeutics, and medical devices. An affiliated CDL-NYC MBA course gives select students direct access to the venture development process as the students work directly with the venture founders. 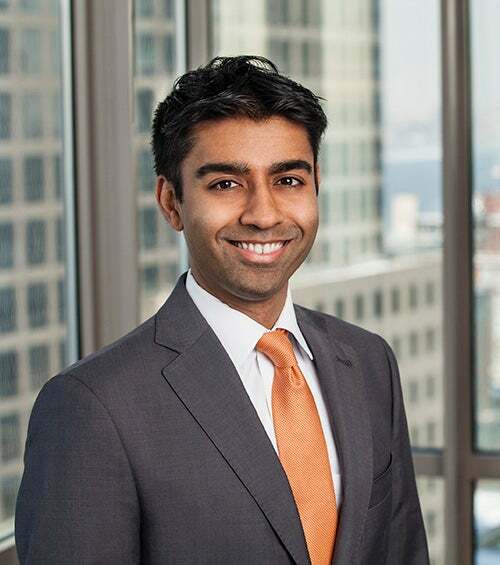 Stern Technology Association allows MBA students to build relationships with each other, alumni, and industry leaders through a variety of resources and events. Stern Entrepreneurship and Startup Association serves as a hub for entrepreneurial activity, providing access to NYC’s vibrant tech community. Stern Business Analytics Club provides students additional opportunities to develop core skills across industries through training and educational events. Stern FinTech Association, a new MBA club, has nearly 70 members, many of whom helped secure start-up demos for Stern’s annual Fintech Conference. Undergraduate Entrepreneurial Exchange Group hosts weekly meetings featuring guest entrepreneurs who share their experiences, providing members with opportunities to learn, network, and be inspired. Undergraduate Business Analytics Club was founded to provide resources and support for students interested in applying data analysis to business problems in their chosen industry. Stern’s capabilities, resources, and successes in tech have accelerated in recent years thanks to concerted effort and focus. But there were other key forces at work. 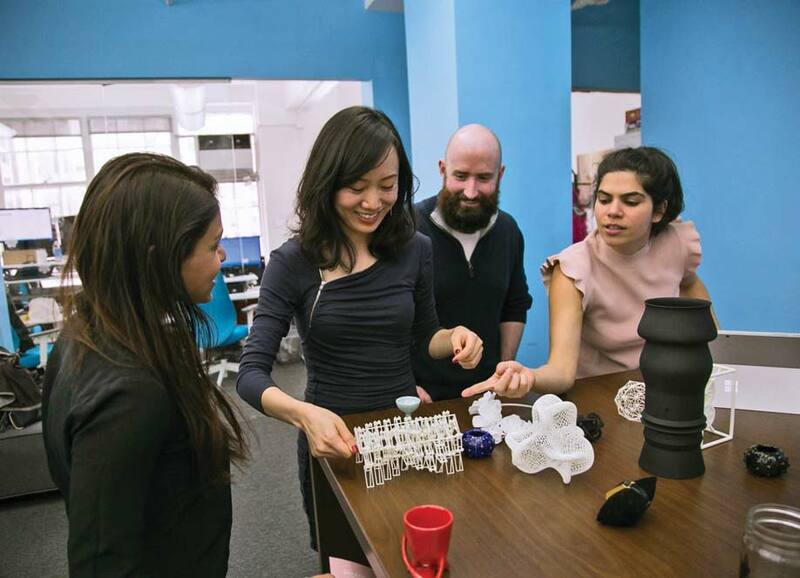 New York is home to one of the largest, most vibrant technology hubs in the country. IBM Watson is headquartered in Astor Place, just down the street from Stern, and many of the world’s largest tech companies have either their headquarters or a major presence here. The City is also fertile ground for start-ups. Annual venture capital investment rivals that of Silicon Valley. This robust activity—combined with access to the world’s largest banks, private equity firms, and hedge funds—earned New York its Silicon Alley nickname. Being an integral part of this vibrant community gives Stern an access and insight advantage. As the fourth industrial revolution rages on, Stern continues to build on its impressive capability in tech education and research, complementing its recognized strengths in finance, management consulting, and entrepreneurship. Stern is fast becoming the ideal training ground for new generations of students across disciplines who see the school in a new light, as an institution steeped in tech as a natural outgrowth of its finance roots—students like Nicole Imbriaco, who are drawn to Stern for its innovative programs and potential to transform and prepare them for a world of opportunities driven by tech. Teper, known as the "father of SharePoint," describees highlights from his leadership role at Microsoft.